Duluth, Ga, May 17, 2018 – As a regional builder with a solid reputation for its innovative designs and quality craftsmanship, Paran Homes knows a thing or two about creating a “sense of welcome.” Today, they gave that phrase a more literal meaning with the release of a marathon of Open Houses at a number of its communities throughout Metro Atlanta. Each of these events is open to the public and presents prospective home buyers with an opportunity to explore the neighborhood, tour available homes, interact with the on-site agent and meet with a lender. In addition to the prospect of being qualified for a home loan on the spot, buyers could earn up to $5000 in closing costs – among other possible incentives. 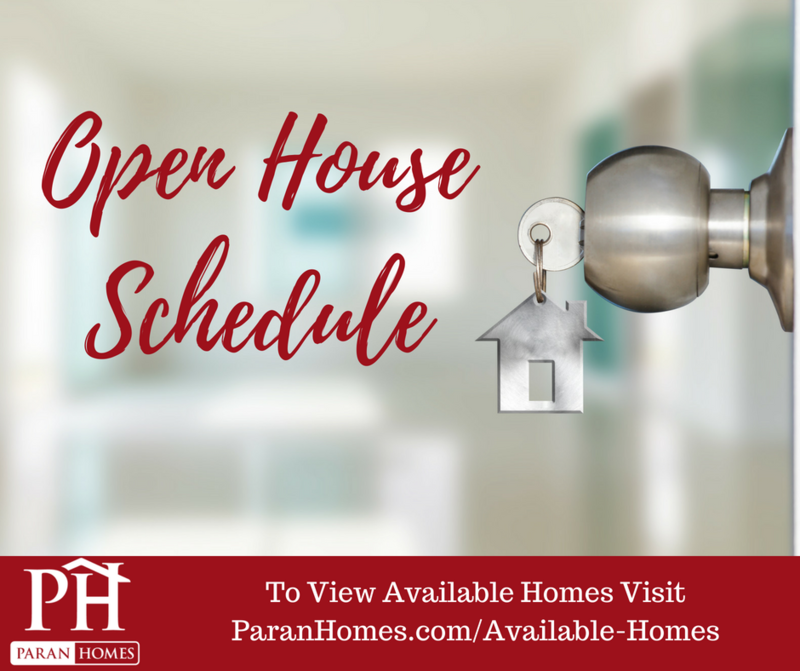 To learn more about each of the Paran Homes’ communities where Open Houses are scheduled to take place – including list of available homes, schools in the area and directions to the community, prospective home buyers are encouraged to visit www.paranhomes.com.